DANBURY- To better inform the greater Danbury region on status of area state transportation issues, State Representatives Mitch Bolinsky (R-106), Michael Ferguson (R-138), Will Duff (R-2), David Arconti (D- 109), Fred Wilms (R-142) Gail Lavielle (R-143), Stephen Harding (R-107) and Sen. Michael McLachlan (R-24) will be holding a State Transportation Forum on March 5th in Danbury with the Connecticut Department of Transportation (DOT) Commissioner James P. Redeker. The purpose of the forum is for the legislators to give greater Danbury residents an opportunity to present their suggestions and voice their concerns about transportation needs for the region and state. In the last two months, the DOT has proposed raising rail and bus fares 21.28 percent over the next 3 years, significantly reducing rail service on the Danbury and Waterbury Lines. 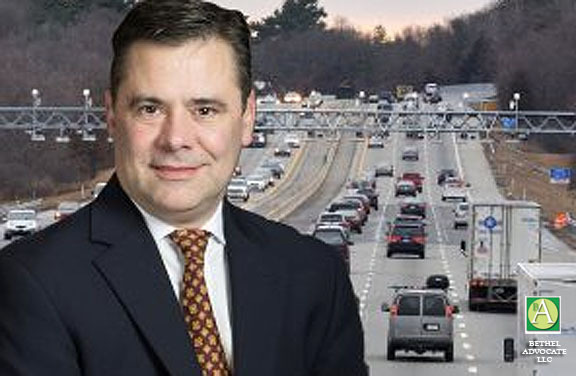 Additionally, the governor has cancelled over $4 billion in transportation projects state-wide and introduced a proposal to bring tolls back to the state, raise the gas tax 7 cents over 4 years and implement a new ‘tire tax’. The legislators want to hear from you. If you are unable to attend the event please call 1.800.842.1423 and ask to speak with your legislator.